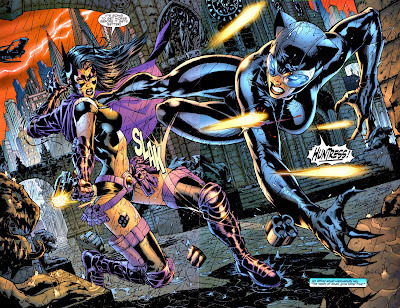 While her costume is still under wraps, based on this Helena Bertinelli version of the Huntress, whose methods never quite meet Batman's approval, on Arrow Helena/Jessica will plot to pull down her father's criminal empire. According to EW, this will put her at angles with Mr Queen, both purposefully and potentially even in the sack. Proving crime is right up her alley, here in Australia, De Gouw has just come off a stunning run in the award-winning TV drama series Underbelly. A no holds barred Sopranos type show, that rein-acts some of the true wheelings and dealings from Australia's criminal history. As for Arrow, I'm hoping they hold on to the 'teacher' aspect of Helena too. It might be going back a bit, but I really thought the comics had it right with her serving as a teacher at a troublesome school. One that saw her students potential absorbed by the beginnings of crime throughout the day and did something about it at night. 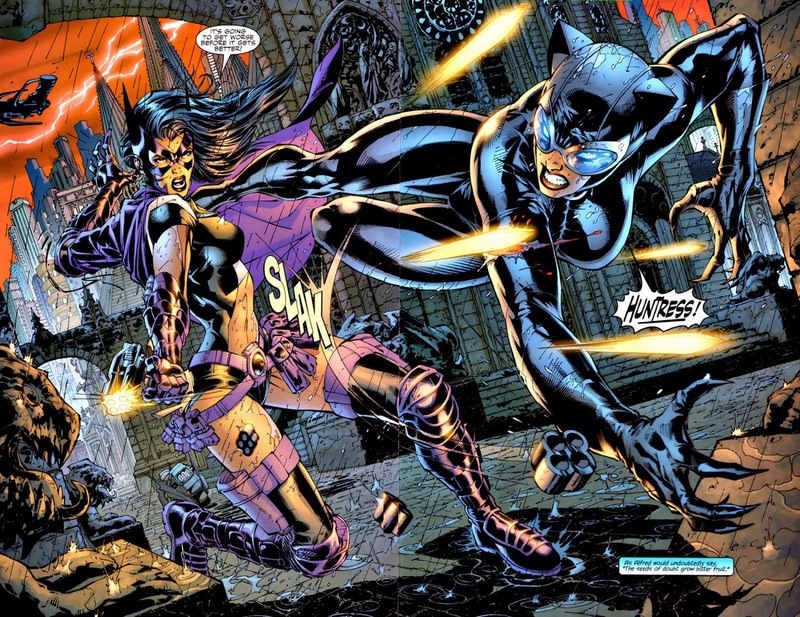 Hey where did you get that picture of the Huntress and Catwoman from? Which issue was it, thanks. Hey Karl - welcome to IADW! Amazing splash page huh? I got mine from the collected hardcover Batman: Hush Vol 2, but the individual issue it first appeared in was Batman #617. Hope that helps your search! Ive read this blog for a while but just started posting here, its great! Thanks for the great feedback! It's always cool to hear people are likin what they find, and even better when they chuck their comments in the ring too. Awesome to have ya aboard.